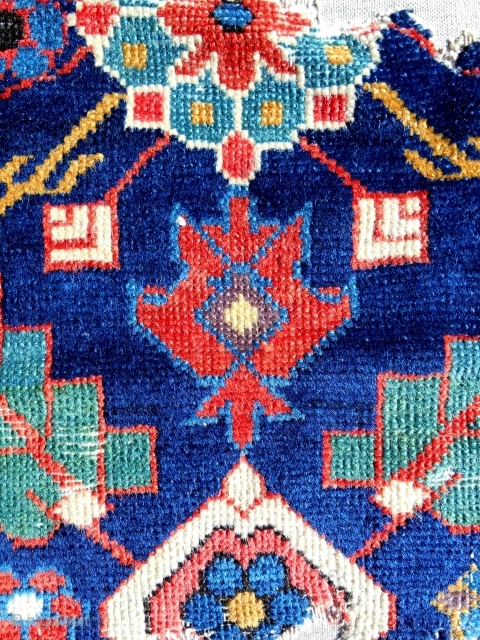 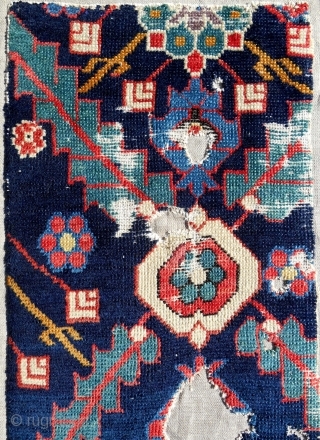 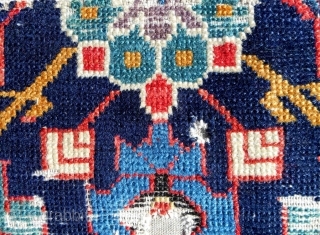 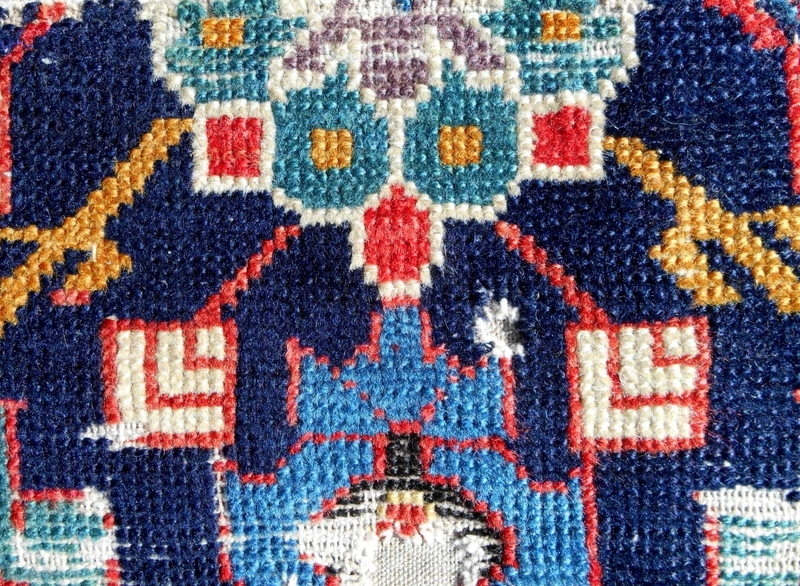 Small Northwest Persian rug fragment. 18th c. Mounted on linen. 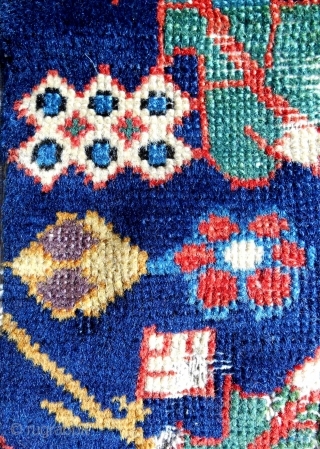 Crazy color.